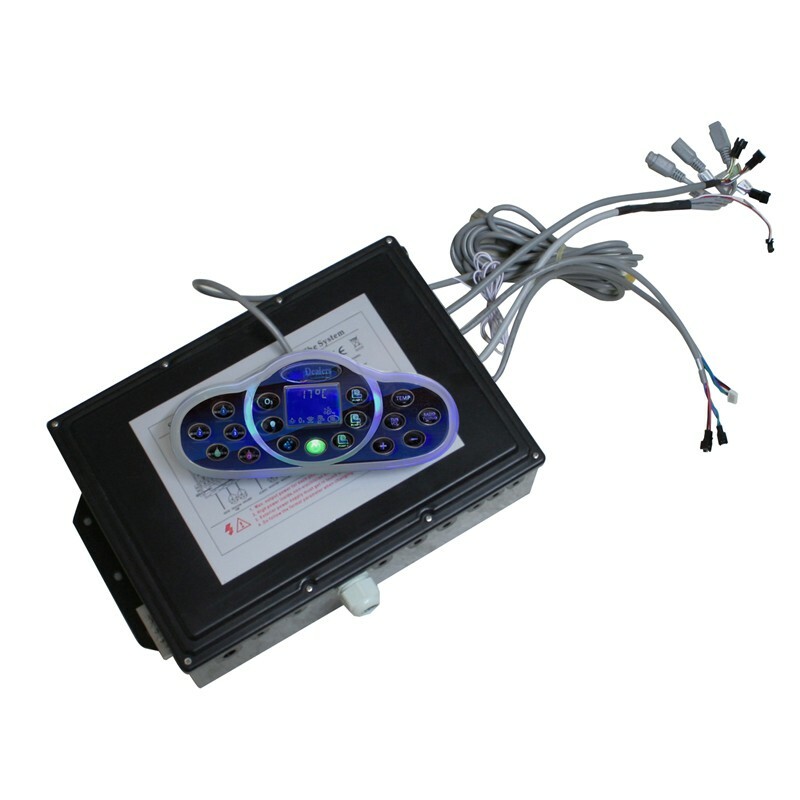 Electronic control system with display and function keys to adjust the temperature (10 - 42°), and duration of filtration, control of pumps and ozone cleaner. The bubble system will be governed from there as well as the underwater lightning, (provided that such lightning has been installed) and which can be stopped at any requested colour.The control system with control unit ensures that the pump starts when the heater is switched on. Electrical connections are made with 1 x 16A, 2 x 16A or 3 x 16A and an earthed connection must be included.